As a long overdue task for the site, I’ve started working on the image library, adding and organizing pictures of Toni’s career from the beginning to recent. 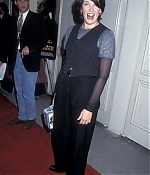 To start, lots of event pictures from 1995 have been added, including the New York premiere for “Muriel’s Wedding”, the Independent Spirit Awards and various other New York premieres. For previews and a full list of new additions, click below.